Gym floor covers have come a long way from the inferior imported lightweight vinyl covers. 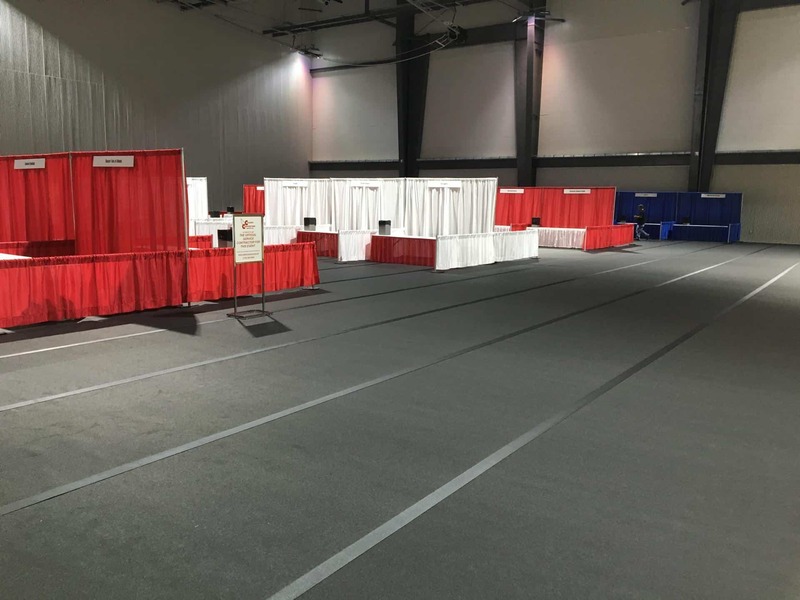 Imported vinyl covers were inexpensive to purchase as they were the only answer to gym floor protectionavailable, but buyers quickly found that these cheap covers did not last. These vinyl gym floor covers had to be replaced often and the overall cost added up. The vinyl covers also required seaming tape, a one use item that was pulled up and tossed out after each use, adding to the cost. Any facility manager can tell you about the tape residue that was left and how it was impossible to remove and how it attracted dirt and debris. 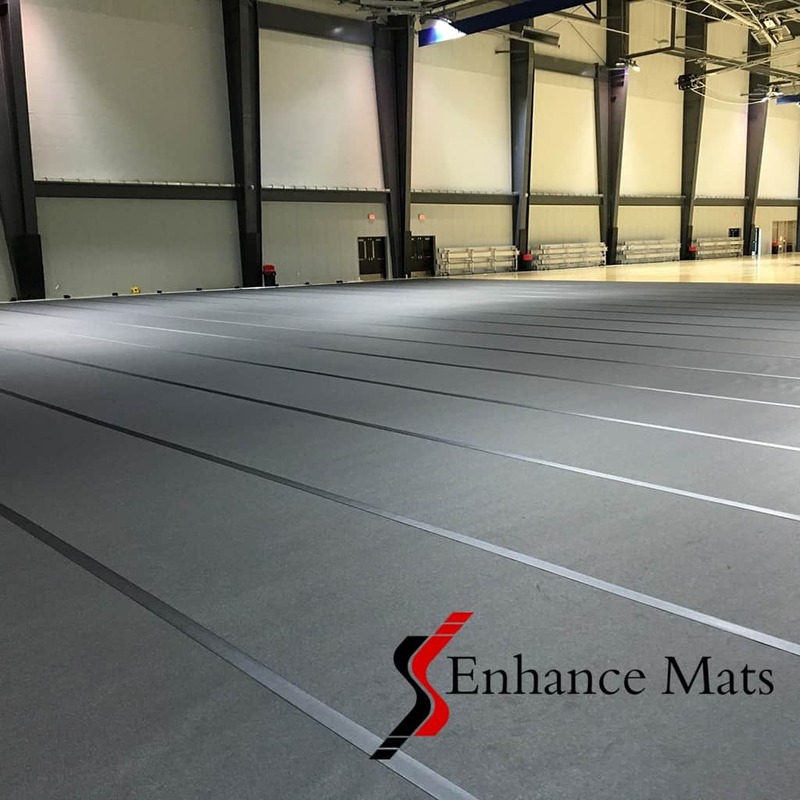 Fast forward to today……and check out the new gym floor covers from Enhance Mats. 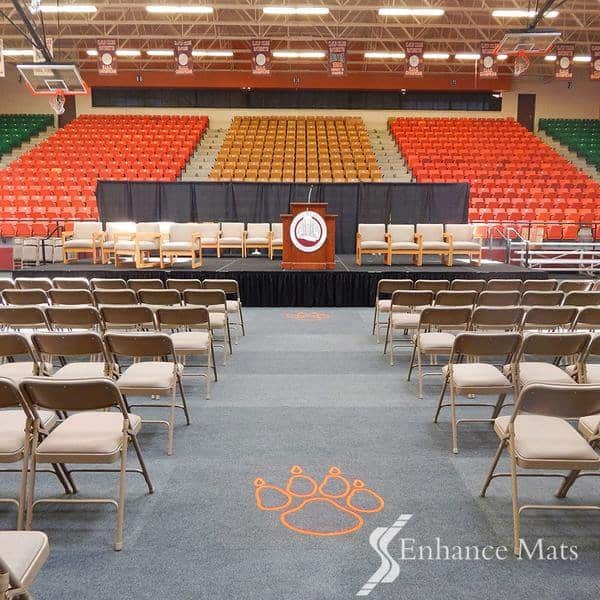 The revolutionary GymPro gym floor covers were developed by experts in the US to meet the needs of schools and churches. Our floor covers are proudly manufactured in the US where we can supply the highest level of quality, customer service and fast delivery times. Choose from the GymPro Eco Roll, GymPro Eco Tile, the super heavy duty Enhance Pro Tile and New GymPro Courtside Gym Runners. 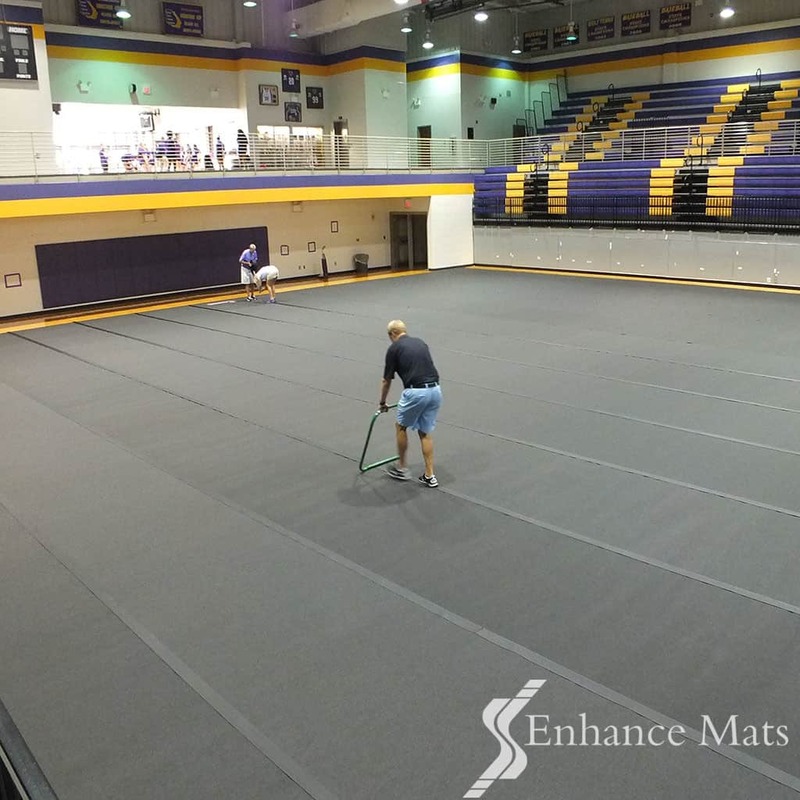 Protect your gym floor investment!